This is a romantic comedy that keeps you interested the whole time. A man noted for his womanizing ways is seriously in love with his girlfriend. He tries very hard to be faithful but women seem to fall in his lap. He doesn't know why, but all the women fall in love with him. He decides to take his girlfriend to a hotel in the countryside to get away. Little does he know, all the women he tries to avoid check into the same hotel. How will he avoid running into the women and keep his girlfriend from finding out? 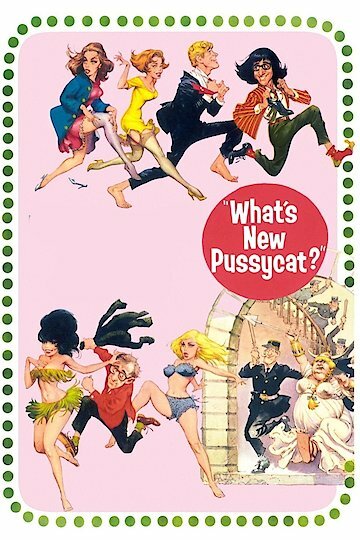 More Like What's New Pussycat? What's New Pussycat? is currently available to watch and stream, buy on demand at Amazon, Vudu, Google Play, iTunes, YouTube VOD online.